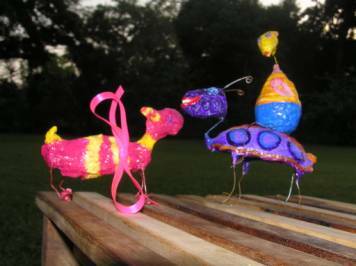 Paper Sculpting: a 3-day workshop for children 6-10 years old. 3 days is just enough for you to learn to make the paste, form it into an object, and finish it into an exciting object, tea-pot for a mad party, or animal sculpture, or anything in between. You’ll go home with your own notebook/recipe book so the fun can go on at home. In this 5-week workshop, you’ll learn to turn paper into clay, and how to layer paper onto a shape to create exciting objects such as puppets, animal sculptures, masks or hats! We’ll also explore how to finish the objects, using paper, gesso, paint and/or varninsh. Classes are suited for older, independent children (from 8 years old, adults, or child-adult teams (for younger children). When? No class planned at the moment. Get a group together and contact me through the form below to fix a time. How Much? $210 / 350 per pax. Includes all material. Number of participants: minimum 5 and up to 10. Can be children alone or parent/child team. Workshop for 5 children. 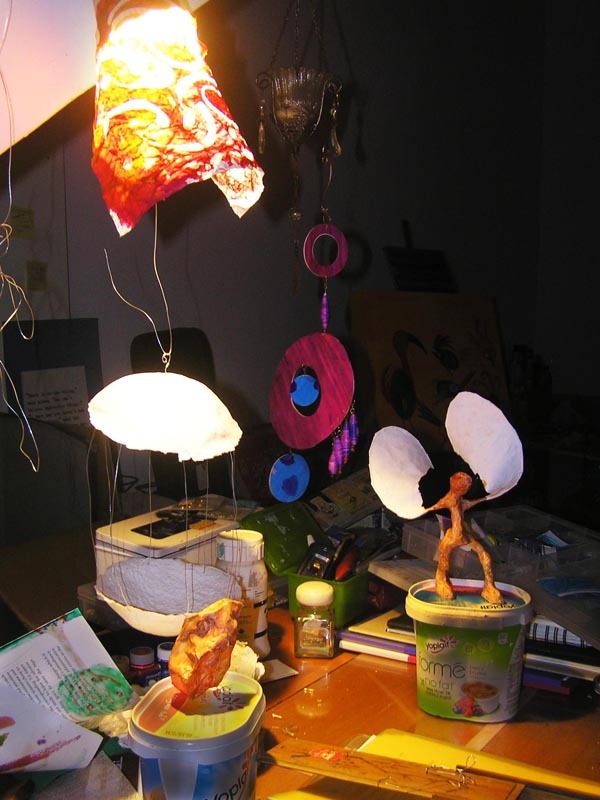 Bring your own paper to make special paper sculptures of strange and weird animals. Children will use both the layering technique and the pulp technique, creating different effects. We will also explore different finishes, and tehre will be plenty of space for personal exploration. 3-day workshop, 10 am – 12 noon. Workshop for 3 to 5 children. We will use recycled paper to sculpt our own tea-set. Children will use both the layering technique and the pulp technique, creating different effects. We will also explore different finishes, so that each teapot is guaranteed to be unique. My name is Annette Stover mother of Nicole and Adrian who absolutely loved your workshops last summer and I loved your hanging out at Seletar. We are glad to know that you are still in Singapore and teaching. We would be interested if you can contact us about you future workshops. I noticed one you are offering in May but the children are in school (American School). We will be here most of the summer and would also be interested in joining your workshops. Plse let us know. By the way where are you located now?